As an attorney and former United States Marine Corps Captain, Thomas T. Carpenter, Esq., knows all too well what it takes to win a battle. His fight for equal treatment of the LGBT community in the military was a personal mission. He served from 1970 to 1976 in the U.S. Marine Corps, piloted the Douglas A-4 Skyhawk, protected the nation as a respected Captain, served in the Marine Reserves until 1982 and was forced to camouflage his sexual orientation. More than two decades after his resignation from the Marines, Mr. Carpenter paved the way for the equal treatment of LGBT service members through his dedication to the repeal of the controversial policy, “Don’t Ask, Don’t Tell” (DADT) as current co-chair of the Forum on the Military Chaplaincy and board member of Servicemembers Legal Defense Network (SLDN). Through it all, Mr. Carpenter volunteered countless hours to the effort, drafted white papers that illustrated what the military would be like if policymakers repealed DADT and worked on the implementation plan with 70 veterans that represented all of the military services. Mr. Carpenter’s efforts paid off with the repeal of DADT in 2010. Mr. Carpenter is current co-chair of the Forum on the Military Chaplaincy, which seeks to provide resources and advocacy to military chaplains who value personal integrity, selfless compassion, respect for others and excellence in leadership. He has served as its co-chair since 2005. Mr. Carpenter’s commitment to SLDN, a non-partisan, non-profit, legal services, watchdog and policy organization that is dedicated to equality of LGBT service members, is demonstrated through his role on its board of directors from 1995 to 2011. He served as SLDN’s co-chair from 1998 to 2005, was a member of its legislative, development and communications committees, organized its Military Outreach Committee (MOC) and was a member of SLDN’s Military Advisory Council. Mr. Carpenter has further empowered LGBT military service members with the founding of OutServe in 2010, the first LGBT active duty organization. He played an instrumental role in OutServe’s merger with SLDN in 2012. Now known as OutServe-SLDN, the advocacy group supports, defends and empowers LGBT service members, veterans and their families and fights for equal treatment in the military. 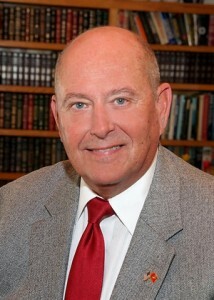 He retired from OutServe-SLDN’s board of directors in 2012. Mr. Carpenter currently serves as an attorney at LaMontagne and Amador, LLP and Conegy Consultants. He is a frequent blogger of LGBT, military, political and religious issues and has been published on LGBT POV and the Huffington Post. Mr. Carpenter has received numerous awards, including OutServe-SLDN’s Anna S. Curren Service Award, 2013 Los Angeles Local Hero of the Year Award. and is OutServe’s Honorary Lifetime Member. He is a distinguished military graduate of the U.S. Naval Academy and graduated from the Golden Gate School of Law in San Francisco. Marines know success is only possible through teamwork. Mr. Carpenter acknowledges that his accomplishments and dedication to the cause stem from the unwavering support and love he receives every day from his husband, Art Andrade.